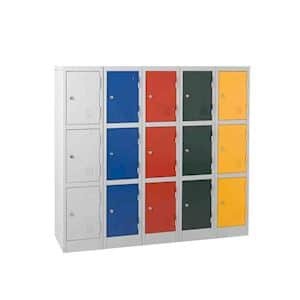 Lockers especially designed for particular use in site cabins on building sites. Especially useful in locations which have high levels of trades using cordless tools. 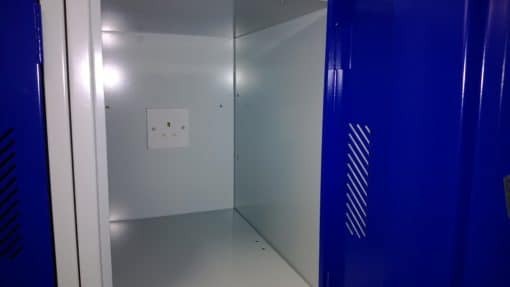 Power Tool batteries kept in a secure locker compartment. 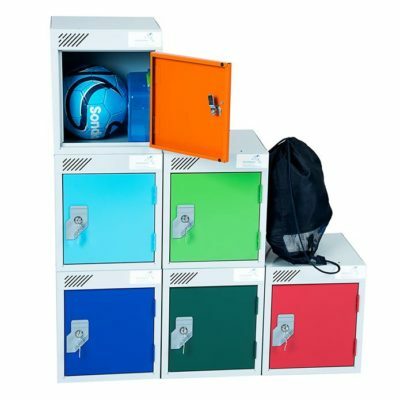 Lockers are available with Cam locks with two keys or Swivel locks as standard. Coin locking available £1 Coin return or £1 Coin Retain with a cash box. Coin retain locks allow the purchaser to keep the income. Body colour Light Grey together with various door colours to choose from. Each compartment has a choice of power sockets either a standard 3 pin electric socket single or double or a single socket with 2 x usbs (Double sockets with usbs available on request. All units are UK Manufactured and PAT tested to ensure they meet all European standards and legislation. 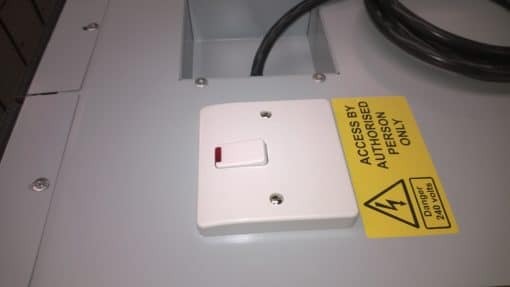 They are CE Marked,earthed and surge protected. 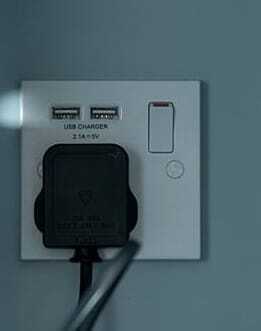 Supplied with mains lead,simply plug in to a 13-amp socket to power all compartments or cable for a fused spare. 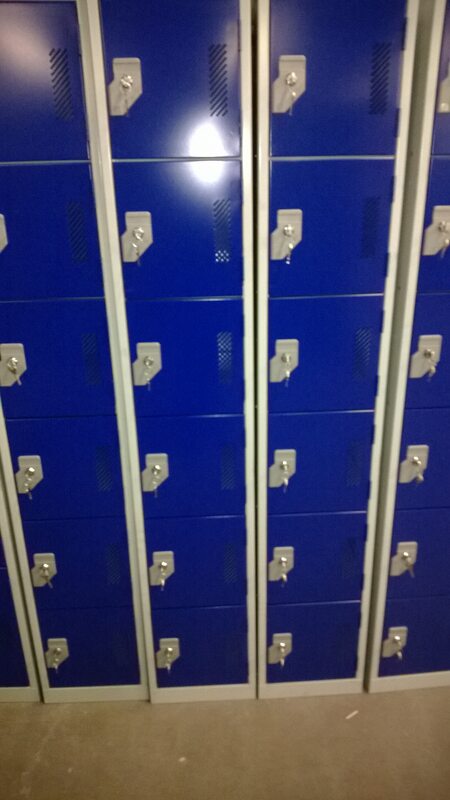 An on off power switch is located on the top of the bank of lockers. Power Tool Battery Charging lockers are available in Four,Five and Six Compartments. THESE POST CODES DELIVERY PRICE ON REQUEST.